The National Education Association recommends that students in first grade receive around 10-20 minutes of homework per night. This amount should grow by 10 minutes per year, which means that students in fifth grade should expect to receive around 50-60 minutes of homework per night. This estimate can vary more widely in middle school and high school as students take on different coursework, but if your child is taking on significantly more than is recommended or is having trouble completing it all, talk to other parents in the school. Are they encountering the same issue? If so, consider talking to your child’s teacher to see if he or she is aware of the issue. If your child is the exception, he or she may benefit from extra tutoring or an extra study period where your child can receive additional assistance through the school. Leaving large projects for the last minute or forgetting about them entirely can be a huge issue for some students. Encourage your child to use an assignment book to track the due dates of projects and check in on a regular basis to see what progress they’re making. Free online tools, such as Asana can be used to break down larger projects into smaller tasks and assign due dates to each piece. It can even be used to coordinate group projects, where students each have their own account and individual tasks assigned to them. It also includes a conversation feature where students can brainstorm, upload files, and communicate with each other. One of the problems many students report that prevents them completing homework is a distracting environment. To help students focus on their homework, create a well-lit, quiet space away from distractions such as talking, TV, or cellphones. If students must use a computer for their work, consider limiting their access to the internet or certain websites so they aren’t tempted to spend their time chatting with their friends or checking social media. Programs such as Cold Turkey easily and temporarily limit these distractions by blocking specific websites, the internet in general, or even the entire computer. By regularly communicating with your child’s teacher, it’s much easier to find out if your child is missing assignments or struggling with particular concepts. Plus, if your child needs assistance, it’s helpful to teach it in the same way it’s taught in the classroom. Parents often report that they don’t understand their child’s homework or that concepts are being taught in unfamiliar ways. Avoid re-teaching concepts in a different way, even if it seems like a shortcut (particularly for math). Your child’s teacher is likely trying to teach the underlying concept before introducing shortcuts or different strategies. For the first time ever, Wowzers is now available for parents to purchase for use at home! Wowzers Online Math is based on brain-based research and is designed to meet the needs of all learners. Children are able to fill in gaps in their learning or challenge themselves with more difficult concepts. With a varied, adaptive approach that includes lessons, games, quests, and assessments, Wowzers covers every math standard that your child needs to know from Kindergarten through 8th grade. Whether you want to use Wowzers for homeschooling, as a summer program to prevent the summer slide, as intervention for a child who struggles with math, for a gifted and talented child who need a challenge, or as a supplement to an in-school program, a subscription includes a full year of digital content for each grade level. The program is highly flexible and it’s possible to move children down a grade if the curriculum is too difficult, or up a grade for more challenging content. How do children and parents access the content? Parents create an account, then generate a login for each child they want to access Wowzers. 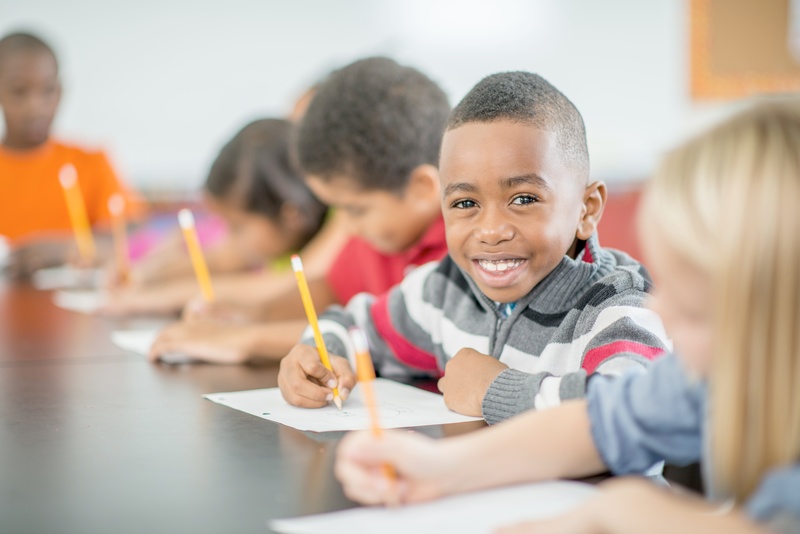 Children automatically begin at the start of the grade level assigned to them and progress naturally through the curriculum, but can choose to skip to other math content within their grade level if desired. We will be rolling out more reporting tools for parents to keep tabs on their child’s progress soon! One of the main criticisms of the No Child Left Behind Act was that it put too much focus on preparing students to take assessments, limiting schools’ ability to innovate and try new ways of teaching content. Teachers stuck with what they knew, fearing the risk of failure and the associated sanctions. However, this outdated act was replaced in 2015 with the Every Student Succeeds Act (ESSA), which has opened the doors to innovation. ESSA gives much of the power back to the states and school districts. Although students continue to participate standardized testing, each state is now responsible for putting together plans on how to help students succeed, how to evaluate schools, and how to respond to schools that do poorly. As a result, teachers no longer have to fear the federal government stepping in to fire staff and close schools if their students struggle on these assessments. In the short amount of time that ESSA has been in effect, innovation in education has become a huge part of the conversation in schools. States have begun submitting their education plans, and many of them include a focus on personalized learning. New Jersey, for example, plans to provide professional development related to personalized learning and offer grants to schools that want to provide personalized instruction. Virginia also emphasizes innovation in their plans, as they allow schools to apply for waivers from requirements that would limit their ability to innovate. As research continues to emerge about how powerful personalized learning can be for students, ESSA finally allows schools to pursue these new possibilities without as much fear. New Hampshire has asked teachers to document their unique intervention strategies and how they work, recognizing that their teachers are experts in teaching and often have revolutionary ideas on how to make learning more effective. This will allow teachers to pursue new technology and personalized learning solutions, while also sharing their findings with others. 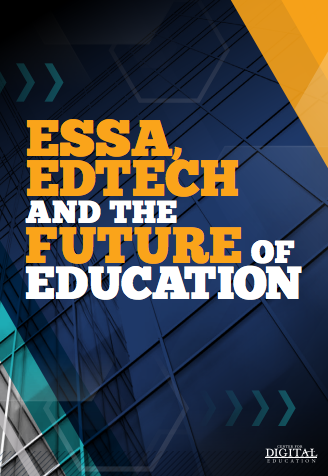 For detailed strategies on how schools can innovate with ESSA and prepare for accountability requirements, we recommend this comprehensive handbook, published by the Center for Digital Education. To learn how Wowzers K-8 Online Math program can help schools innovate and make learning math fun, contact our team or try a free trial. We love to hear from teachers who are using Wowzers in their classrooms. Today, we will be featuring Rita Minster, a veteran teacher of sixteen years who has been using Wowzers for three years! Currently, she teaches a classroom of fifth graders at McCollam Elementary in the Alum Rock Union Elementary School District of San Jose, California. Minster’s classroom uses Wowzers supplementally on computer carts that are rotated within each classroom, but that’s not enough for her students, who often beg to stay inside during recess to continue working on Wowzers. She reports that they even log on to Wowzers at home and on their phones without prompting. Perhaps one of the reasons her students love it so much is because she uses the built-in reward system to reinforce good behavior in class. Her students certainly have no complaints about the practice, as she has heard one of them exclaim, “OMG, I have 15 Wowzers coins!” after a particularly good day. We asked what specifically about Wowzers has resonated so well with Minster’s students, and she credits several key factors. Her students enjoy exploring the virtual world of Wowzers with their custom avatars, and the lessons are straightforward and direct. The instant feedback and kid-friendly language means that students never feel like they’re working too hard and can learn without the fear of failing. Even when they get something wrong, they’re simply nudged back on the right track and receive re-teaching when needed. If you’re like most teachers around the world, technology is on your mind. With so many new solutions available – from classroom management systems to digital curriculum to test prep programs – there are thousands of ways to make teachers’ lives easier. However, implementing these solutions can run into a few major roadblocks. Fortunately, it’s possible to learn from those who have already overcome these challenges. Technology often does not come cheap! However, there are ways to squeeze it into even the smallest budgets. There are many donor programs available online, where teachers create a profile for their classroom and explain exactly what they need and how much it will cost. Donors browse these profiles and decide which projects to help fund. Receiving donated computers can also help lessen the cost of a new technology program. Recycling companies focused on education often take slightly outdated computers (which still have a lot of life left in them!) and donate them to schools. Search online to see which programs may be available in your area. Grants are the other big way schools fund new technology. Search aggregates, such as Grants.gov make it easy to find grants that your classroom may qualify for. Just search for “technology” and see what comes up. If you have a particular program in mind, their staff may be willing to help you put together a grant proposal. Before purchasing any equipment, make sure you know what you’ll need. The school’s IT department can likely help with this obstacle. After all, an investment in a tablet for every student can easily go to waste if the school doesn’t have the Wi-Fi network necessary. Most programs have their technical requirement accessible online. Check to make sure you fulfill all these requirements, and don’t be afraid to contact them if you’re unsure. If all has gone well and you’ve secured the funding and equipment you need, be sure to follow up with professional development and training for any staff who will be using the technology, including yourself. One of the biggest reasons teachers fail to take advantage of available technology is because they don’t feel confident enough to use it, or they’re unsure how to use incorporate it in their established routines. By bringing in a professional to walk everyone through best practices, the program will have a much better success rate. Many programs include regular professional development in the cost of their subscription, so be sure to ask when doing your research! We at Wowzers have helped many schools find the best way to incorporate technology in the classroom. To learn how Wowzers K-8 Online Math program can help your school, contact our team or try a free trial. As we prepare to release students into the freedom that the summer months bring, one thing on every teacher’s mind is the summer slide: the tendency for students to forget much of what they learned over the school year. These worries are quite valid, as research has shown that children lose around two months of their reading and math skills during this time. This results in wasted time during the following school year and is often directly related to the achievement gap between students. Fortunately, it doesn’t take too much work to prevent this learning loss. We’ve included some helpful tips for both teachers and parents to lessen the effects of the summer slide. Encourage reading! Even if your child’s school doesn’t assign a summer reading list, try taking a weekly trip to the library. Many libraries have a summer reading program that rewards children for each book they read. Librarians will have plenty of recommendations, based on your child’s age and interests. Set a goal of six books by the time vacation ends – research has shown that is typically enough to keep children on track for their return to school in the fall. Don’t forget to include some regular math practice! Just 2-3 hours per week is usually enough practice to keep their skills intact. Before you start printing out worksheets and picking up activity books, consider something a little more fun and rewarding. Many educational math games and apps are available online, and your child’s teacher may have some suggestions based on what they use in the classroom. Involve your child in daily activities that may require math, such as planning the budget for vacation or the total cost of fuel for a road trip. Even cooking together can help younger children practice their fractions and math conversions. Even if your students are heading to a new teacher next year, their future teacher will almost certainly thank you if you follow these tips! Before the school year ends, start talking to parents about how to encourage learning throughout the summer. Find out what activities (particularly free ones – check local libraries and community centers) will be happening, and think about which students may be particularly interested. Keep an eye out for reading programs, science classes, and volunteer opportunities. For high-performing students, see if they would be interested in tutoring younger students. The best way to solidify what they know is through teaching it to others. If you use a particular educational game or app in the classroom, check to see if students can log in over the summer and access their account from home. If so, make sure their families have this info and consider rewarding students for their dedication over the summer. To practice their writing skills, try giving each student a pre-addressed and stamped postcard to write to you over the summer. This has the added benefit of learning what your students are up to while they’re away. We’re dedicated to doing our part to make learning math fun for students, especially during the break! To learn how Wowzers K-8 Online Math program can help prevent the summer slide, contact our team or try a free trial. As students prepare for high-stakes testing, their stress levels are more likely than ever to skyrocket. To make this process as smooth as possible, here are some tips on how to get your students to de-stress. As class begins, have all students sit down at their desks, close their eyes, and practice deep breathing. This is something that students can learn to do anytime they feel their stress rising. Slowly breathe in for a count of four, then breathe out just as slowly. Try counting along out loud so students understand the technique. An internal method for relaxing is refocusing. Have students think about something unrelated that they do know. For example, have them think about their favorite food that they make at home. What ingredients go into it? How is it made? Have them picture their mom or dad’s face. What color eyes do they have? How do you spell their name? What about backwards? By answering these questions, students become more confident and focused on what they can answer correctly. The third relaxation technique is meditation. Dim the classroom lights and either read to the students from a guided meditation, or play a recording for them (there are many such free recordings available online). This will help students relax their bodies from head to toe. Remind them to remain respectful of their classmates, as it’s easy for students to become disruptive or giggly the first few times. For many students, writing out their concerns helps mitigate stress, often through the simple act of externalizing it. Give students the option to anonymously submit their concerns so that you can get a better feel for how the classroom is feeling and reassure them as needed. Others may find it more useful to act out their concerns through roleplay. In these quick and easy scenarios either written by you or the students themselves, they pair up and both give voice to their own concerns, often sharing helpful de-stressing techniques that they’ve developed. The day of the test, make sure snacks and drinks are available to all the students. Breakfast and hydration is essential to keep their brains focused and energized. Some researchers even suggest providing a cinnamon or peppermint candy for students (assuming there are no allergies or food restrictions). 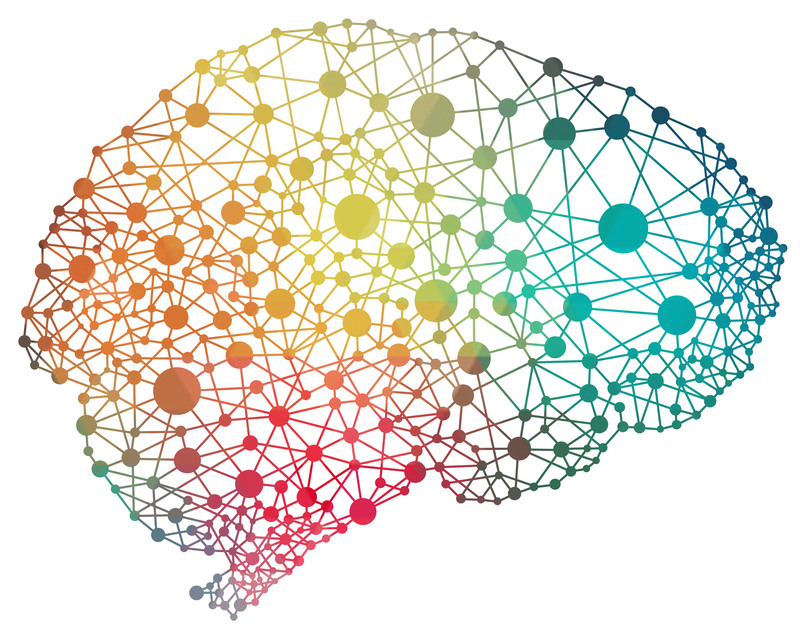 These scents are said to help stimulate the brain. Physical activity can get the blood flowing, while also releasing those last-minute wiggles and allowing students to stay seated for longer without getting squirmy. Consider leading a brief jumping-jacks or active stretching routine before testing begins. Make sure that students have something to look forward to after the testing is over! By rewarding students with a pizza party, movie, or something else you know they’ll enjoy, it keeps them determined and more willing to work hard on the test itself. You can also try keeping the mood light by telling a few jokes before the test starts. By teaching students from an early age how to manage their stress, it enforces healthy habits and can result in better test scores and happier students. To learn how Wowzers K-8 Online Math program can help students prepare for high-stakes testing, contact our team or try a free trial. When we talk about blended learning classrooms, we often mention how students today are “digital natives,” but what does this really mean? Increasingly, children are growing up using technology and playing video games as a form of entertainment. In fact, the average child will have spent ten thousand hours gaming by the time they are 21 years old. Clearly, there is something utterly captivating about video games, but what is it? And how can we use this power to get kids excited about learning? Games typically update you immediately on your progress. If you complete an objective, you are rewarded and your character levels up, becoming visibly stronger. This type of feedback is powerful, because you’re able to visualize your progress. In a traditional classroom, the idea of learning is certainly there, but there’s no way to see how much you have learned so far, and there is typically a long wait period before they receive graded work back. By combining games with learning, students can visualize their progress. Every task comes with a reward, the goals become achievable, and students begin to think of learning as “leveling up.” Learning becomes exciting. Contrary to what many assume, the goal of games is often not to win, it’s to be challenged. Many popular puzzle games have no end, yet people love to play them because each level is harder than the previous. In these games, no one is trying to win, they’re just trying to get farther than they did last time. The idea of learning is very similar: in a classroom, there should be no limit to the amount of content a student can consume, but it should become increasingly more difficult in order to be engaging. A good digital learning platform does this automatically, as it adapts to each student and provides an endless amount of content, while keeping students at that sweet spot where it’s not frustratingly difficult, but always challenging. There are some common themes in epic games. The hero is often trying to save the world or even the galaxy. People desire that feeling, where they’re doing something big and important that affects everyone. By incorporating technology in the classroom, creating that feeling for students is possible. Many digital programs combine storytelling with learning, where students use their newly-learned skills to solve big problems and save lives. By using what they’ve learned, even in a fictional environment, it makes the concepts memorable and seem more important. Games are full of rules. In fact, they’re a requirement in order for the game to work. Rather than a hindrance, these rules are embraced by players, because they require creativity and strategic thinking. Learning can take place in the same way. By including games in learning, teachers can create a set of rules that everyone must follow, creating a fun challenge to overcome, instead of a set of objectives to memorize. The best games are carefully designed to turn work and stress into a rewarding experience that rewards creativity and ingenuity. Rather than look down on games as a waste of time or something that’s done when our work is done, it makes much more sense to use games as a learning tool. By including games in a blended learning classroom, teachers are able to use their power to make the content more rewarding, engaging, and to spark creativity in their students. To learn how Wowzers K-8 Online Math program can help teachers make learning fun, contact our team or try a free trial.